Keeping with the holiday spirit, this week's Music Monday feature is another classic Christmas carol. However, this time it is an Italian classic carol (as opposed to a North American one). The song, "Tu Scendi Dalle Stelle" is one of Italy's most popular Christmas songs. 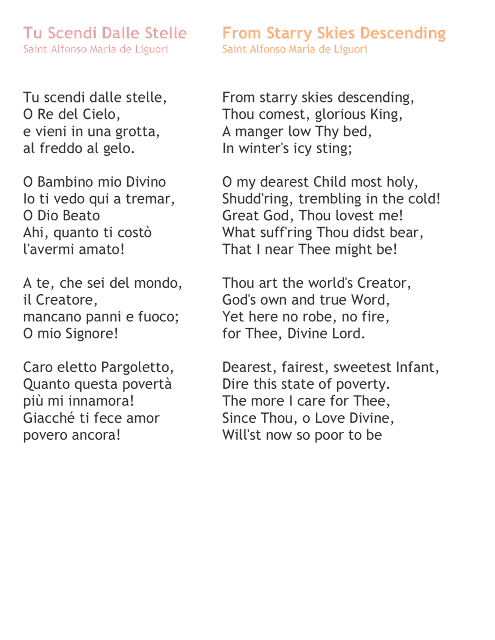 This song dates back to 1744, when it was written by Saint Alfonso Maria de Liguori, who was a bishop and scholastic philosopher from Napoli. 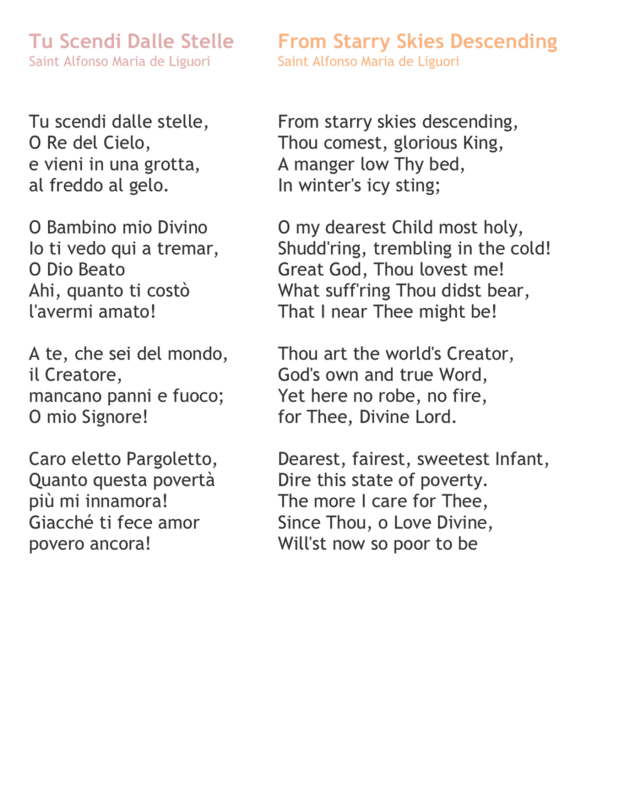 Although it's been adapted into various arrangements, it is traditionally sung with the accompaniment of a zampogna (also known as a large format Italian bagpipe). Hearing this song always brings back wonderful memories of Christmas' past, as it always was, and still remains, a tradition in our home during the holidays. I especially enjoy the following version by world-renowned opera singer, Luciano Pavarotti, as he brings such wonderful passion and emotion to the song. I hope you enjoy this song, as much as I do!